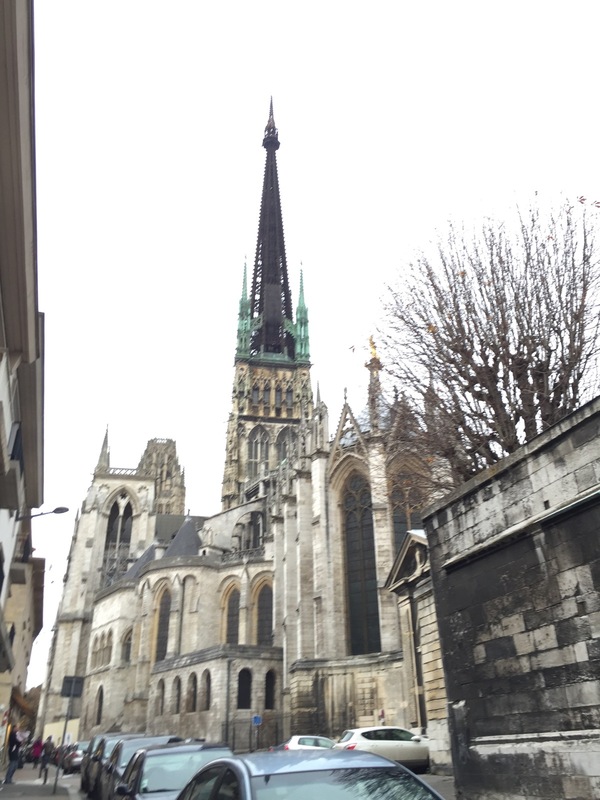 Walking tour of Rouen today. Fabulous town. So walkable. So charming. 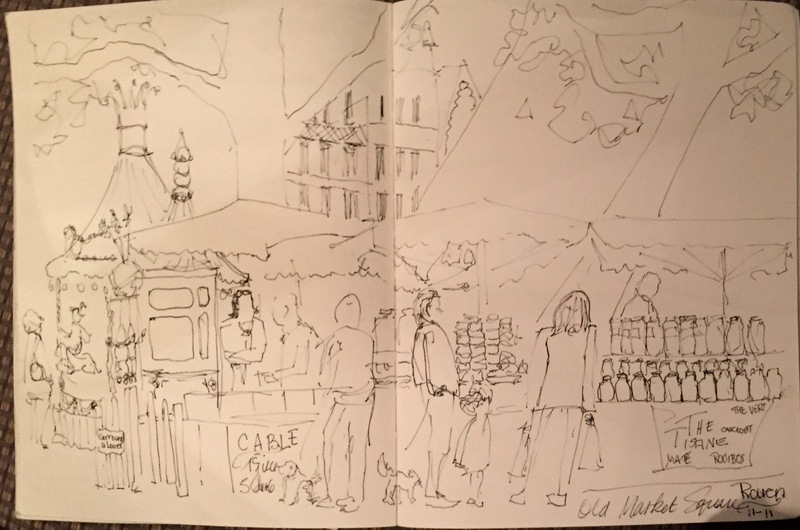 After our two hour tour I spent the afternoon eating at the cafe and sketching. Oh and shopping. 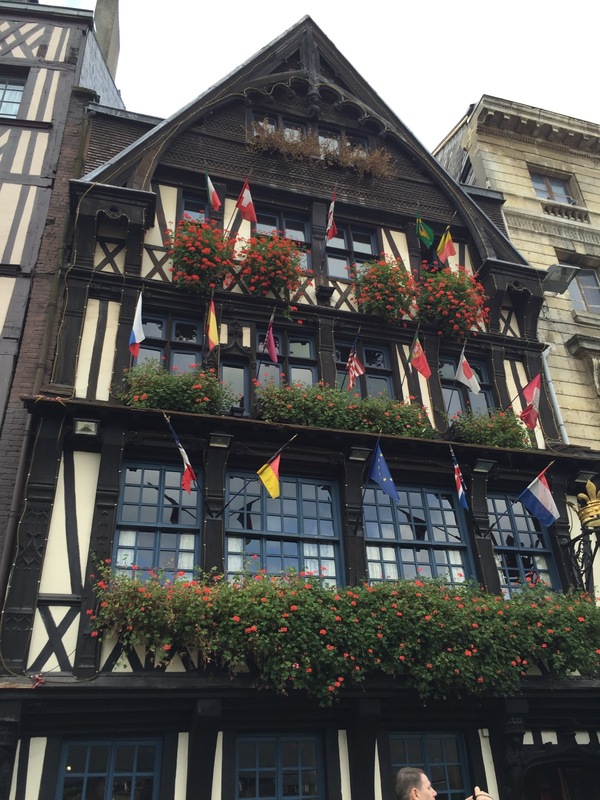 Rouen Market square – The restaurant La Couronne where Julia Child discovered French cooking and the filet of sole meunière. 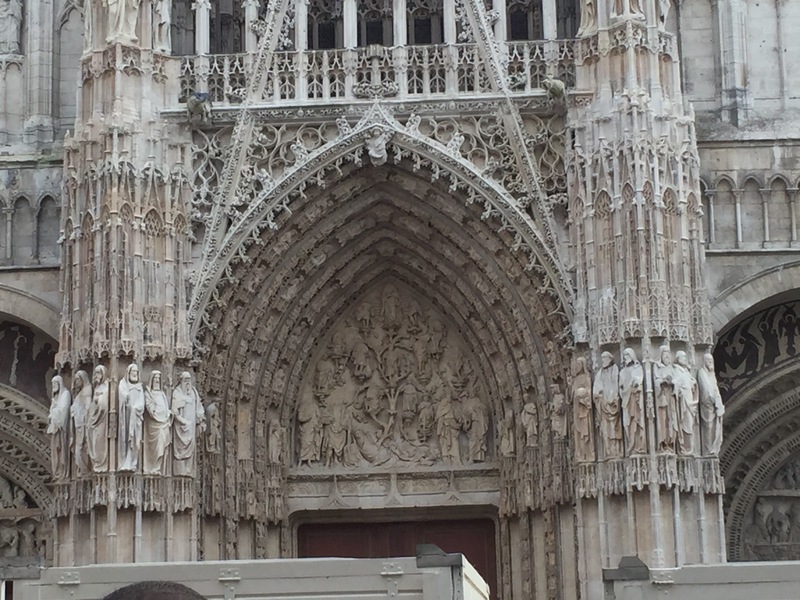 Over the main door at Notre Dame. The lower part was blocked by the Christmas market which is soon to open. 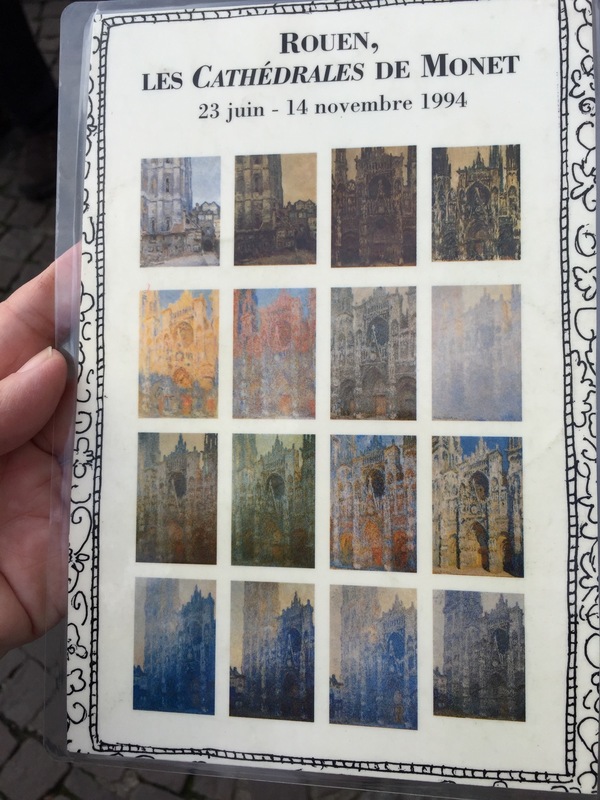 Rouen Cathedral- Notre-Dame Cathedrale-that Monet painted 28 times. 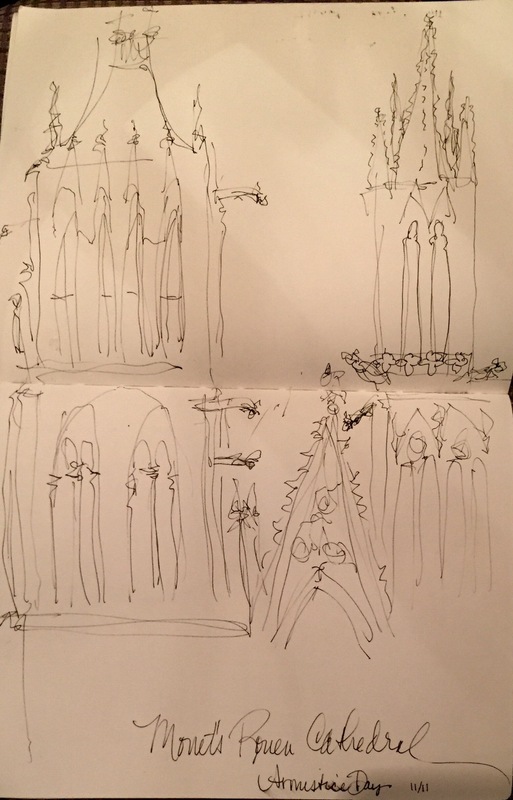 I stood in the middle of Rue de Gros Horlage sketching the Cathedral. Not the greatest. Done in ten minutes or less. But at least I could imagine that I was with Monet. The Parliament of Normandy, Palais de Justise the largest civil Gothic edifice in France constructed at end of the Middle Ages. The Court House is gorgeous in the morning light.